3. Cutting Edge Woodworking Inc.
6. Millwork by Design Inc.
10. International Designer Transitions Inc.
15. Southern Minnesota Woodcraft Inc.
16. Bruewer Woodwork Mfg. Co.
19. Pollaro Custom Furniture Inc.
31. Precision Hardboard Components Inc.
32. Centorbi Custom Cabinetry Inc.
35. HL Stair & Rail Inc.
51. The Closet Guy Inc.
62. Action Wood Technologies Inc.
63. Builders Cabinet Supply Inc.
64. Wellborn Forest Products Inc.
70. World Panel Products Inc.
79. Mark Hall Cabinetry Inc.
81. Great Lake Woods Inc.
83. St. Louis Closet Co.
84. Jasper Seating Co. Inc.
88. Sieling and Jones Inc.
89. Showplace Wood Products Inc.
91. Stephenson Millwork Co. Inc.
92. ATS Design Studio Inc.
Watch video from the Best of the WOOD 100 presentation at AWFS Vegas 2007. Founder and co-owner David Meadows, attributes much of the company’s doubling of sales to improved technology. “We believe that the use of technology over excessive staffing not only produces a product more efficiently, but also produces and maintains a higher quality,” he says. In late 2006, Commercial Cabinet Solutions moved into a new 27,000-square-foot facility and added new machinery, including a Biesse Rover CNC machining center, a second Biesse Comil case clamp, a Biesse Polymac contour edgebander and an edgebanding trimmer. Employee dedication and commitment earned Imperial Casework the second spot in its first WOOD 100 appearance. After undergoing a period of high employee turnover, President Eddie Palacios says Imperial Casework focused in 2006 on employee retention and recruitment. “[The employees’] dedication is reflected at the job site and in the quality of our work,” Palacios says. In addition, the company has supplemented its machinery needs with the purchase of a Busellato CNC machining center, a Busellato CNC Flexa 203 edgebander and a second Uhling case clamp. Tom Charles, owner of Cutting Edge Woodworking, and his employees take customer service very seriously. The company creates custom cabinetry for the vacation and resort home markets, so attention to detail and communication is paramount. “The main thing for us on the customer service side is that we communicate with the contractors or homeowners and let them know our lead times up front. Most importantly, we do not make promises that we can’t keep,” Charles says. Trade Images moves up to the fourth spot from No. 16 in 2006 with a 79% increase in sales, topping the previous year’s growth of 58%. The company again attributes its growth to employees’ skills and dedication — a result of great recruiting practices and well, “pure talent,” according to David Bird, president. “There never seems to be any challenge or obstacle, be it complexity of design or difficulty of schedule, that our employees collectively cannot overcome through creativity or plain hard work.” The company purchased a new widebelt sander and replaced all of its table saws with SawStop saws. Millwork by Design surpassed the expectations of President Mark Riggi’s 2006 WOOD 100 prediction of 50% growth. Riggi attributes much of the company’s increased success to customer service. “Providing a good product on schedule” has enabled the company to expand its client base and eclipse the $2.5 million mark in sales. Helping the company maintain its strict production schedule was the addition of new equipment, including a CNC dowel drill and inserter, planer and edge sander. WOOD 100 newcomer Wood Colony Woodworks made its mark with a more aggressive marketing program that focused on promoting hardware for its wood doors and mouldings, according to John Overholtzer, co-owner. Helping to increase production for the company was the purchase of a TigerStop and straight line ripsaw. Investments in technology have made all the difference for Forest Creek, which increased its sales 485% since its first year in business. Owner Brandon Harvey says, “The combination of technology and process has enabled us to provide solutions to a growing and diverse customer base. We rely heavily on the efficiencies provided by investment in technology.” Recent purchases for the 6,000-square-foot facility include: a widebelt sander, Unique door machine, Ritter door clamp, Quick Panel clamp, RazorGage optimizing saw, multiple shapers, a spray booth, straightline ripsaw, dovetail machine, a Dantherm 15,000 cfm dust collector and multiple computers with CAM and BRP software. L&L Woodworks saw another big year in 2006 — and nearly 70% growth — since last year’s appearance in the WOOD 100. This one-man shop moved up to the ninth spot from No. 81 due to increased productivity. “With the new equipment purchases, production has been much faster and cleaner, allowing me to take on more work and even larger jobs,” says Owner Lorenzo Gonzales, Jr. The shop now smoothly puts out jobs with its new BÃÆÃÆÃâÃÆÃÆÃâÃâÃÆÃÆÃÆÃâÃâÃÆÃâÃâÃÆÃÆÃÆÃâÃÆÃÆÃâÃâÃâÃÆÃÆÃâÃâÃÆÃâÃâÃÂ¼tfering 53-inch widebelt sander, Brandt KDN 330 edgebander, SCMI 24-inch planer, Crouch oscillating edge sander, Toyota forklift and a new dust collection system with K&B clamp-together fittings. John Damrell, director of sales and marketing, attributes new product development for boosting the company past the $20-million mark. At its Monroe, WA, and Graham, NC, facilities, IDT specializes in unique product lines such as multi-use mouldings, multi-fit stairnose mouldings, sleek, redesigned T-moulds and mouldings to fit the Mono Track system, which holds mouldings in place without nails or glue. “We also have a newly developed finish — a UV with aluminum oxide — for our mouldings that adds wearability,” Damrell says. IDT offers small production runs from its Monroe, WA, facility while the Graham, NC, facility produces the larger production runs. Embracing lean concepts and focusing its customer service toward residential home builders and multi-family project developers helped Cabtec Mfg. Inc. (No. 69) achieve success in 2006. Vice President of Operations Navin Menon credits increased productivity for HPL Contract’s continued success. “[In 2005], we were able to grow sales by great customer service and personal attention to our end users and dealers alike. This year, we have either added new machinery in the different cells or replaced them with state-of-the-art CNC machinery and software to increase productivity.” Recent equipment purchases include: Weeke BP150 CNC machining center, Holzma HP380 CNC panel saw, Ligmatech MPH100 case clamp, Accu-Systems HPJ boring machine, Ocmac drawer clamp and Microvellum and Cut Rite software programs. Company President Travis Walker just cannot say enough about his employees’ skills and dedication, which he credits for the company’s high growth rate. “I have a great group of guys who strive for excellence in all they do, whether at work or at home. This type of integrity is what sells our products,” Walker says. To aid in its quest for quality work, the company recently purchased an SCMI Compact moulder, and Dantherm and Nordfab dust collection systems, while also creating a warehouse addition and adding enclosed trailers. Country Woodworkers Ltd.’s innovative marketing program is credited for bringing the company into the WOOD 100 for the first time — marketing the company’s product through Costco’s Special Events program. “These are commonly referred to as Traveling Road Shows, where we sell our line on the floor of Costco, using our sales staff for limited time periods, normally 14 days,” says Rick Hopper, president. To help keep up with the demand, Hopper adds that the company will be looking to purchase additional equipment in the next two to three years. Making its fifth consecutive WOOD 100 appearance, Riverwoods Mill celebrates 10 years in business with a sales growth percentage that tops the 2005 rate by nearly 20%. Company CFO J.C. Marsden attributes the success to increased productivity gained from applying lean manufacturing principles. Specifically, Riverwoods Mill reconfigured its door and moulding department shop layout and material flow, refined scheduling, streamlined the ordering and work order office process, strengthened its JIT purchasing procedures, purchased a new moulder with quick setup and sent new employees to Lean 101 training. In addition, Riverwoods Mill added more employee benefits, such as three additional vacation days, a 401k plan with a company match and a profit-sharing plan. Southern Minnesota Woodcraft Inc. (No. 15), which manufactures bank fixtures among other products, recently moved to a new site that more than doubled its square footage. This has allowed the company to double its labor crew and increase productivity. Following a move from a 6,000-square-foot facility to a 14,300-square-foot site, Southern Minnesota Woodcraft was able to double its direct labor crew and increase productivity. According to Eric Flom, owner, “We have been able to bid on projects that were larger and had more repetitive items. The [increased] space also allowed us to set up different departments to help create a flow through the shop.” With the larger plant came the purchase of new machinery, including: a widebelt sander, door clamping machine, additional Castle machine, and a delivery and service van. After a few years’ hiatus, Bruewer Woodwork returns to the WOOD 100 thanks to its employees’ skills and dedication. President Ralph Bruewer says, “All of our employees have been a part of this increase in sales. Our people worked very hard in the training of many new employees that we needed to put on in order to meet the aggressive schedules we were given.” The company saw a large increase in clients’ budgets, plus added a few new clients. Several new pieces of machinery also were put into the company’s production line: Busellato CNC machines, a Cefla finishing line, material handling equipment and Tradesoft estimating and shop floor software. PremierGarage founder and CEO Mark Loberg credits the continued growth of the company’s franchise network and consumers’ growing awareness of garage enhancement products for the company’s second consecutive appearance in the WOOD 100. PremierGarage now has 87 locations in 38 states and three Canadian provinces. Additions to material handling systems and lean manufacturing initiatives round out the company’s technological improvements begun the previous year. 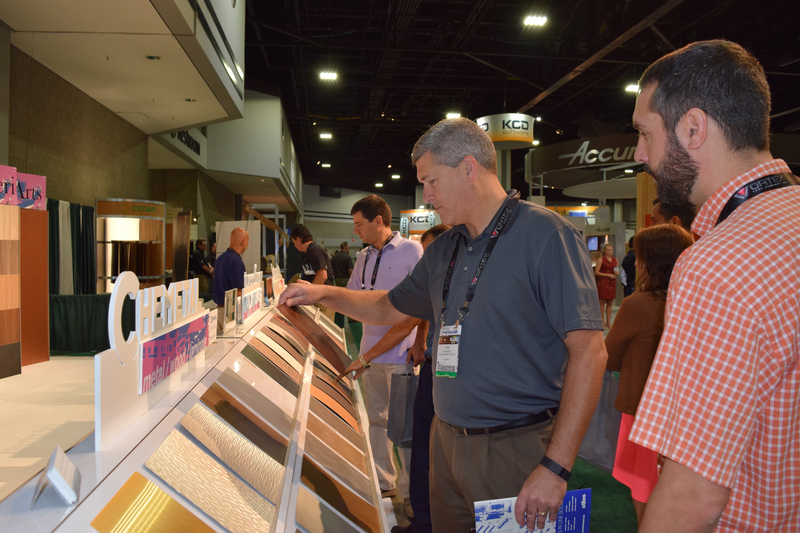 For the third year in a row, Venuti Woodworking brings in a sales growth rate of more than 50%. Ben Venuti, president, says the company could not have done it without its employees’ skills and dedication. “We were able to increase gross sales this year without the addition of major equipment or employees. This says a lot about [our employees] and their dedication to our company and their jobs. It’s great to have competent, skilled employees working in the right direction.” He adds that for 2007, the company will continue to focus on ways to reduce waste in its operations and sustain profit margins. For its third appearance in the WOOD 100, Pollaro Custom Furniture almost doubles its sales growth rate over last year. Frank Pollaro, CEO, attributes much of the success to the company’s employees, which he calls “truly outstanding” in their efforts in using teamwork to solve manufacturing procedural dilemmas. “Basically, we endeavor to share information, techniques and approaches to production issues so that the entire team is on the same level and can, therefore, maximize its contribution to the company’s profit.” Pollaro Custom Furniture has also benefited from a new Italpresse hydraulic hot press, a Martin sliding table saw and new dust collection systems. A new marketing program, enhancements to the showroom and an expansion to the company Web site helped The Carpenter Shop (No. 20) gain more than 50% sales growth in 2006. YB Normal President Ted Geers credits the company’s marketing program for the company’s continued growth of custom contemporary-style furniture. “In 2006, YB Normal’s design and engineering expertise won several large contracts. We also began marketing nationally in 2006,” Geers says, adding that the company will launch a new line designed specifically for the national market. To aid its production, YB Normal has recently added: more hand tools, a 3M hot melt gun, a larger planer and a gravity-fed spray gun. In addition, a CAD operator was brought on staff and the company also is partnering with a local firm to help with the CNC cutting. Spyker Project Manager Richard Stokes credits the employees and new technology for the company’s increased productivity and success. “Qualified, dedicated employees, coupled with quality CNC machinery, have helped to increase our productivity — from bidding more competitively to installing jobs on schedule — all while maintaining a high level of quality and customer service,” Stokes says. “To help maximize the productivity” of its workforce, the company recently invested in: a Gannomat Index A130 Trend CNC boring and dowel insertion machine, Gannomat Concept 90 automatic case clamp, Doucet return conveyor system, additional pallet racking, gravity-conveyor tables and custom built shop carts. With a keen focus on customer service before opening its doors, Cabinet Components used a market survey to determine what customers were looking for in order to develop a business plan. Since then, says President Wayne Moore, Cabinet Components has focused on several key factors. “We determined that we needed to provide cabinet doors that were ready to finish, within a predictable lead time, at competitive prices and provide follow-up support. Our plan addressed each of the concerns, and as a result, we received extremely positive response from our customers,” Moore says. referrals and testimonials from satisfied customers have led to further sales and opportunities. Attention to customer service and customer referrals took this company above 40% in sales growth. “All of our work comes from customer referrals, either from previous customers or from our Web site,” Owner Jim Doolittle says. “We put an emphasis on the high level of integrity with which we serve our clients and the high quality of our products. We strive for our customers to be wowed when we deliver their cabinets and grateful for the good service they have received during the course of the project.” In looking to the future, Doolittle says Doopoco will work to keep shop processes efficient, including the purchase of a CNC router, and work with employees on system efficiencies. A newcomer to the WOOD 100, Brown Enterprises celebrates its 10th anniversary following a year of 40% growth. According to Owner Terry Brown, the company relies on customer referrals to help grow the business; therefore, customer service is the company’s top priority. In order to “offer more services,” the company added a beam saw to its operations. Brown Enterprises looks forward to a significant increase in profit margins for 2007 and will continue to “pursue a greater number of customers in a larger geographic area,” Brown says. With an increased focus and determination to gain and retain large jobs that result in more profitable work, Architectural Arts was able to surpass the $10-million mark in 2006. According to Ted Stuart, president, the company distinguishes itself from competitors through “the integration of electrical, glass and metal components in our custom products.” Since moving to a new building, Stuart says, the company is even better poised to continue on its mission of targeting large, complex, profitable work and reaching significantly higher profit margins. Good customer service is what keeps clients coming back to Norelco Cabinets (No. 29). The company specializes in producing cabinets for residential and commercial applications. Norelco Cabinets saw more than $2 million in growth as a result of customer service and repeat business, says President Peter Raja. The company’s jobs include both small and large contracts for private homes, dental clinics and restaurants. “I believe they keep coming back to us because we try to meet all their deadlines and make sure they are happy with the final product, no matter what the problem is,” Raja says. Employee satisfaction is also a priority, he adds. The company recently added more employee benefits as well as programs to build a team environment. Woodworks International of Clearwater returns to the WOOD 100 in its second appearance, with an increase in sales of nearly 105% since 2004. According to Dan Nash, president and CEO, the company’s growth is due to improvements in its accountability protocol, such as “manufacturing accountability per the quality assurance manual available through NAMI” and the company’s own business accountability through an “organizational chart with extensive job descriptions and reporting protocol.” As part of its efforts to increase production, Woodworks International Inc. of Clearwater recently added a prehanging machine to its production line. According to Charles Carpenter, co-owner and director of operations, the company “thrives on providing excellent personal service to our customers and their needs.” Additionally, “excellent product quality” and on-time shipping took the company’s customer satisfaction ratings to a new level of success. The company also reaped the benefits of a new woodgrain printing machine and fabricating equipment upgrades. Back for its second consecutive WOOD 100 appearance — and seventh overall — Centorbi Custom Cabinetry has great customer service to thank for its continued growth. “My philosophy has always been to deliver our product on time, no matter what it takes. My employees understand that and play a vital role in completing projects when needed and are motivated through numerous benefits, awards and incentives,” says Derek Centorbi, president. The company also has been working on a lean manufacturing initiative and, as of April 30, has “converted the entire manufacturing process to lean,” Centorbi adds. 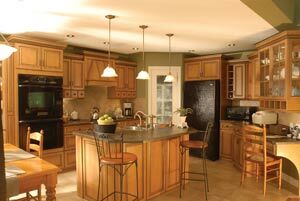 Ovation Cabinetry Inc. (No. 34) says new product development — including new door styles and color — gives the company flexibility to adapt to changing market trends and is a major reason behind the company’s seventh appearance in the WOOD 100. 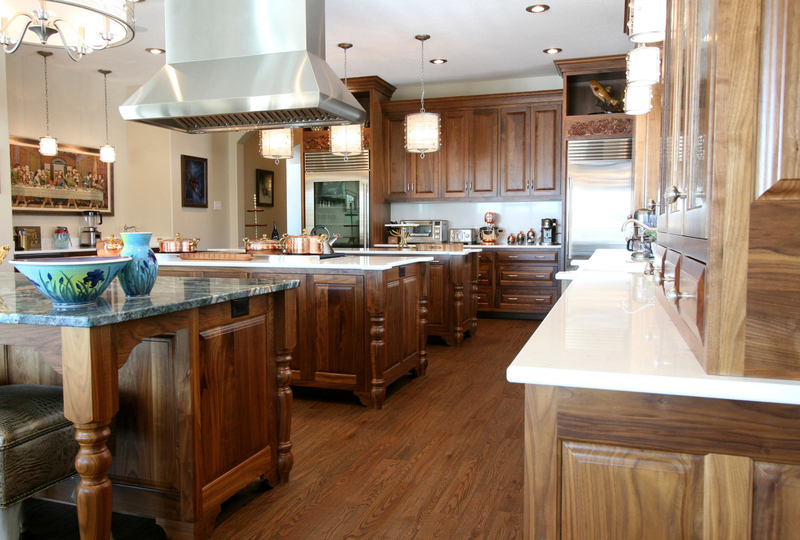 A “seven-timer,” Ovation Cabinetry surpassed the $10 million mark via new product development. CEO Joseph Lorentz says, “One of Ovation’s strengths is the ability to create new door styles and colors for added flexibility in design and to accommodate the always-changing market trends.” The company also is constantly looking at new materials, new vendors and new equipment, such as a recently purchased dovetailer and edgebander, as part of its quest to remain competitive. HL Stair & Rail joins the WOOD 100 for the first time with growth over the last two years of 84%. A commitment to customer service led the way for the company, says Steve Leady, owner. “Although we provide our clients with one-of-a-kind wood millwork, the reason behind our success is simply a commitment to service,” he says. Plans call for the company to focus on improving employee skills, and recruiting and retaining employees. Veneer One returns to the WOOD 100 with increased sales of more than $2 million since 2004. A combination of factors has helped the company continue its success, says Victor Giaime, vice president and CEO. For example, new equipment, such as a new Kuper FL Innovation stitching line, a 10-foot Kuper double knife guillotine and a Striebig vertical panel saw, as well as upgrades to existing lines, have improved capacity and efficiency. “We also have developed more value-added products — architectural slab doors and rim-banded panels — that contributed to our growth and sought additional editorial publicity,” Giaime says. Moving all the way up from No. 100 to 39, Architectural Millwork of St. Louis improved its sales through employees skills and dedication. Rob Smith, senior estimator, says that the company’s employees are “dedicated people with progressive ideas and goals.” The company is taking a proactive approach to educate its existing employees, and according to Smith, will “add educated and qualified people who can adapt to the challenges of today’s marketplace.” To make its operations flow even more smoothly, the company purchased a Thermwood CNC router, an edgebander and widebelt sander from Stiles Machinery, a 24-inch two-headed planer, ergonomic work stations, digital miter saws, a profile sander and Microvellum engineering software. After a three-year hiatus, Wisconsin Built is back in the WOOD 100, with this its ninth appearance on the list. Increased productivity has made all the difference in getting the company to achieve more than 30% increase in sales. “We have done a little reorganizing on the shop floor, getting the right people on the bus and getting them in the right position. We are always trying to work as smart as we can,” says Jeff Ball, president. To aid in productivity, Wisconsin Built added several pieces of machinery, including: a Komo CNC router, a Kundig Duplex 53 Brilliant widebelt sander, a Gannomat Index 230 CNC dowel inserter, an IDM double-sided CNC edgebander, a miter fold system for solid surface and a Giben rear-load CNC panel saw. Jakes Creative Woodworks (No. 42) credits its repeat business and word-of-mouth referrals to the company’s skilled employees and a refusal to take shortcuts with quality. Owner Jake Gieschen credits his employees’ skills and dedication for helping Jakes Creative Woodworks achieve an estimated $300,000 growth in sales since 2004. “Our success comes from always providing good customer service, delivering on time, and most importantly, never taking short cuts in order to provide our customers with a high-quality product that will last a lifetime. My employees are very skilled at what they do and they also demand the best quality of work. If it wasn’t for their dedication, Jakes Creative Woodworks would not be where it is right now,” Gieschen says. It is because of these efforts, he adds, that the company earns a lot of repeat business and word-of-mouth referrals. For this first-time WOOD 100 company, quality control improvement tops the list of reasons for why Cohen Architectural Woodworking achieved more than 30% growth in sales. According to Phillip Cohen, CEO, “We got serious about lean manufacturing this past year. We also studied the best companies in the world and now try to think like them.” Machinery purchases were also at the top of the list, with the addition of a Komo CNC router, Holz-Her edgebander, a return conveyor for the edgebander, a Holz-Her sliding table saw with Tiger Stop, and new design and machining software being used to help the company in its quest for improved productivity. Returning for a third consecutive year, Belet’s Millwork credits its success to having been able to develop a variety of new products over the last year. Stewart Belet, president, says, “Producing our own mouldings and cutting our knives has opened a new market for us.” The company recently purchased a new SCM moulder, a template maker and grinder. “We have the complete system for running mouldings,” Belet says, adding that the company now can custom match a profile. Belet’s Millwork also has seen a rise in sales due to its new showroom, which features displays highlighting quarter-sawn walnut mouldings and veneers for corporate jet manufacturing. According to President David Pena, WoodArts Systems keeps all eyes focused on customer service to reach new levels of success. “We have been able to complete our projects on time and be more accurate, which means better quality control and leads to happier repeat customers.” The company strives to keep its high quality level in check so that more customers see the value of using WoodArts Systems. As part of its improvements, the company purchased a Holzma panel saw and Microvellum software. One of the reasons for Ravenhill’s success has been its ability to increase its capacity through the use of CNC for processing, while it “anticipates gaining efficiencies in engineering” says Robert Leiper, president and CEO. Over the last year, a Kundig sander, Langzauner veneer saw and Microvellum software were incorporated into the company’s operation. “In the plant, we are reorganizing all areas of production, one by one, with an emphasis on eliminating waste, creating smooth logical work flow and adding quality control check points,” Leiper says. By streamlining its production processes, MurphyCatton (No. 94) has improved its productivity in manufacturing themed exhibit pieces for museums, state parks and trade shows. “Utilizing systems for manufacturing, having standard operations procedures and increasing employee skills have had the overall effect of improving our productivity,” says Jim Schuette, owner. The company also purchased a mid-size moulder for crown and other mouldings and continues to try to remove the chance for mistakes in order to “maximize profits,” Schuette says. True 32 also will focus on improving its field measuring and estimating systems. Camio Custom Cabinetry will continue to offer more to its customers in order to maintain its success, says Chris Constantino, vice president of business operations. “We have made an extensive review of customer service and the products that we offered to our customers. We now are able to offer more up-front service to assist customers with job processing and ordering,” he says. Before 2007 is out, the company plans to purchase CNC machinery in order to meet its goal of a 20% increase in sales for 2007. Increased productivity is what drove Cleora Sterling to more than 25% in sales growth. Chip Cappelletti, president, says, “We continue to estimate more jobs and our capture rate has remained the same.” With an increase of more than $1 million in sales, plans call for Cleora Sterling to continue its successful growth record by increasing the geographic area that it services and perhaps reducing costs by relocation. An improved marketing strategy, including print ads, joining ASID, attending more trade shows and displaying in dealer showrooms has attributed to Drawknife Billiards’ success and its first appearance in the WOOD 100. John Hansford, president and owner, says the company’s strong marketing program will help it to remain profitable and cost-competitive. “We have actively been marketing to designers, billiard stores and the hospitality industry. Our marketing efforts have started to bear fruit in these areas, creating increased sales,” he says. “We have aggressively increased our marketing and advertising budget,” says Jay Allen, president, of the company’s success. And with a $200,000 increase in sales since 2004, the company is seeing its marketing tactics pay off. In 2006, Omega Wallbeds initiated special programs for dealers and builders and introduced a new, exclusive product, The Wildcat Wallbed, featuring the University of Arizona’s Wildcat logo. To assist with its special programs and exclusive products, the company enhanced operations with a new edgebander and CAD design software. No. 87 on the WOOD 100 list, Timberdoodle Inc. employs a “do what it takes to get it done right” attitude when working with customers. The company’s high-end, custom jobs require strong attention to detail and high levels of customer service. Some tweaks in manufacturing and added technology led to Dwyer Cabinetry’s increase in productivity and its first appearance in the WOOD 100. The company added a new nested-based CNC router and changed to dowel-and-glue case clamp construction for its cabinetry. According to Patrick Dwyer, owner, the company is currently “using a stronger sales approach to point out the differences in our product versus our competitors’.” Dwyer Cabinetry also incorporated a procedural manual to provide employees with a handy training and reference guide. John Evans, vice president of sales and marketing, says Helmstown is “constantly defining the meaning of the luxury cabinet line.” Being a custom shop, new product development is always key to the company’s success. The company is also developing strategic partnerships and aligning itself with other luxury product manufacturers, which “helped grow our display business and, as a result, grow our cabinetry business,” Evans says. Helmstown continues to produce and develop its line of custom furniture vanities — the Vaniture Collection — as well as its high-end display cabinetry. Another newcomer to the WOOD 100 list, OGB Architectural Millwork excelled in 2006 with the help of its dedicated employees. Richard Thaler, president, says, “We have been able to exceed our customer’s expectations in quality and schedule consistently through the strength of our management and shop floor teams. This has opened the door for the negotiated work that has allowed us to grow and prosper in a highly competitive environment.” For 2007, the company also will continue to implement lean manufacturing principles to reduce costs and improve service. Royal Industries returns to the WOOD 100 after a two-year hiatus with more than 20% growth in sales. The company’s increased productivity was a result of several new innovations. First, President Clay Smith says, Royal Industries spent time in late 2005 and early 2006 implementing automated lines. It also focused on ensuring that its operations were the “right size” and on where its efficiencies lay. The company also added a Balestrini Fox CNC miter door, Italpresse 3-D veneer press and a Multiscore angular panel saw into operation. Success for WOOD 100 first-timer D&B Components came from a combination of factors, according to Linn Boermann. “D&B Components’ success in 2006 was due to continued efforts to provide our customers with defect-free products, short lead-time and unrivaled service. Beyond this, we invested in upgrading our image with professional sales and marketing tools, helping us gain access to new customers,” Boermann says. To further make itself more competitive, the company purchased a CNC router, additional boring equipment and assembly equipment. According to Bob Long, president, it was the company’s employees who contributed the most to Premium Woods’ high sales growth. “Our employees are willing to go the extra mile to satisfy our customers’ needs,” he says. The company’s sales gain of more than $200,000 since 2004 is also evidence of the employees’ hard work. Production has improved with the purchase of new equipment, including an Accu-Systems dowel inserter, pinch roller and a forklift. General Manager Steven Nelson is more than willing to “kiss and tell” how this WOOD 100 newcomer achieved its level of success: excellent customer service and innovative designs. Kiss Cabinet incorporates many carvings and cutting edge accessories into its designs. “But without quality products and the service to back it up, it wouldn’t matter how long we’ve been around,” says Nelson. For the future, Kiss Cabinet will continue to capture more of the remodeling market to grow that segment of business to 50%, compared to the 35% it is currently. Without its employees’ dedication and loyalty, Action Wood Technologies may not have made it into the WOOD 100. According to Lisa Palazzolo, office manager, “It would have been much more difficult to maintain our position in the industry while so many companies are going out of business” without the skills and hard work of Action Wood Technologies’ employees. In 2006, the company also: became certified as an ISO 9001:2000 compliant company, leased a second plant for more storage space, updated its computer technology and added a third CNC machine. A 10-year veteran of the WOOD 100, St. Louis Closet Co. Inc. (No. 83) attributes much of its success to an aggressive marketing campaign, which includes print and television advertising. According to Chris Komenda, marketing manager, “Success has been a combination of strategic sales and marketing initiatives, shop efficiencies and an open book management system among all employees.” The company also moved to a new building where it installed five new spray booths and created a more efficient layout in terms of shop workflow. Woodmeister also recently implemented a “back office enterprise system to help manage information and improve financial reporting,” Komenda adds. Adding more than $1.5 million to its sales since 2004, JLE Mfg. finds success is all about keeping the customer happy. James Englebrecht, president, says the company “offers value engineering, reduced lead times and a zero punchlist commitment” to its customers. JLE continues to work closely with its “core clients” as well as with architects and general contractors to “provide a complete turnkey product,” including cabinetry, ornamental metals, granite, solid surface and electrical components. Good employees, as well as continued development of a second shift, helped propel Classic Cabinets to more than 21% growth. “We recognize that employees are this company’s greatest asset. We have employees who give 110% to bring our customers a quality product,” says Scott Halton, president. Classic Cabinets offers more than 500 door style combinations in oak, maple, alder, knotty oak, knotty maple, knotty alder and rustic maple. Available accessories include: dovetailed drawers, corbels, posts, wood hoods and appliques. The key to Cabtec’s success in 2006 was an intense focus on customer service to residential home builders and multi-family project developers. Ken Kowalchuk, president, says the company is also on a “lean manufacturing journey” to streamline its operations. “We will continue to improve and simplify our processes, which allow employees to do a better job and feel more comfortable at what they are doing,” he says. The company also is making investments in new technology to improve the manufacturing process, including a new Cefla automated finishing line. World Panel Products listened to its customers’ requests and parlayed them into almost 21% growth in sales. The company developed several new varieties of special marine wood panels that have their own unique quality and purpose for certain applications, says Jeff Davies, president. The company also added more square footage to its three locations in order to accommodate more inventory. manufacturing process. The addition of newer, faster machinery has greatly helped in refining the manufacturing process, he says. “We pride ourselves on customer service. We have made an effort to expand our customer base by adding new products and showing new customers excellent service with short turnaround times,” says Randy Lewis, owner and president. Eaglecraft Door also has focused on purchasing more equipment for efficient operation, including: a Timesavers planer/sander, Unique 313 miter door machine, Weinig Unimat 300 5-spindle moulder, Grizzly sliding table saw and JLT miter door clamp. Taking on more responsibility and acquiring new skills are what Quality Woodworking’s employees did to boost the company to a 20% growth in sales. “We derive all our business from repeat customers and from referrals, and we do that by focusing on quality control, on-time delivery, good communication and service,” says Chris Graamans, president. The company also benefitted from the addition of several new machines, such as a Holz-Her Magiq 43” sander, Champion air compressor and dryer, and a Hoffmann beaded face-frame system. According to Loy Smitherman, chief estimator, Holly Springs Architectural Millwork & Mfg.’s success was due to improved quality control and increased productivity. “With the cost of raw products steadily increasing and the cost of fuel staying up, we have to be aware of all other aspects of our business to help control the expenses involved with each job we take on,” Smitherman says. To increase productivity even further, the company purchased a C.R. Onsrud Panel Pro CNC router and Microvellum software. Eliminating existing and potential bottlenecks, while at the same time increasing productivity, is what gave Ancom Custom Cabinets the ability to reach 20% in sales growth. “We moved to a different location with more space and it allowed us to have better work flow and less material handling,” says Andrew Kalafatis, owner. “I tried to identify constraints or bottlenecks, such as the finishing area, in the shop and relied on outsourcing to help alleviate those problems.” The company also invested in new, high-tech software for its CNC machinery. Retrofitting and incorporating high-speed machinery gave Panel Processing Inc. the increased productivity to reach more than $80 million in sales. “PPI has installed a new, high-speed long direction slatwall machine at Holland Panel Products. New equipment and retrofitting of CNC controls on existing processes have given us more fabricating, painting, printing and machining capabilities, while reducing labor input,” says John Empfield, director of marketing. The company also added Weeke machining centers, CNC controllers for pegboard punch presses and upgraded the paint lines. Back for its fourth WOOD 100 after a three-year hiatus, Construction Service Associates broke the $600,000 mark due to its efforts in customer service. According to Michael Cohan, owner, “As a small specialty shop with state-of-the-art machinery, we are able to provide our clients with a wide variety of custom products, of a high quality and sophistication of design, while maintaining short lead-times and exceptional values.” Among the new machinery helping to improve production is a Morbidelli Author 504 machining center. New product development is always critical to the decorative design business, and it was that which helped Danielson Designs reach more than $5 million in sales. “We are in the gift and home decor industry, which is heavily dependent on aggressive new product development. We replace approximately 50% of our product line every year,” says President Mark Danielson. With this type of business, it is also critical to have versatile machinery. As well as adding new equipment to its finishing line, Danielson installed an INCA hard substrate printer and Homag edgebander in the shop. Co-owner Steve Mashl says of Valley Custom Door’s success in 2006, “It is so important to have the ability to listen to your customers, find out their needs and then be able to deliver to them what they expect — on time.” In order to best fill customers’ needs, the company stocks 27 different wood species for its door production and sells unfinished or prefinished products to cabinet shops throughout the country. Since it relies heavily on word-of-mouth promotion from satisfied customers, it only makes sense that customer service is the No. 1 priority for Mark Hall Cabinetry. “We have always prided ourselves in great customer service and terrific customer relationships,” says President Stephanie Hall. The company also has focused on hiring and training new employees, “teaching them the trade.” “We try to give new employees a sense of belonging and pride in their work,” she says. For MasterBuilt Cabinets, 2006 was all about new machinery to increase the company’s productivity. According to Michael Mouser, president, “The addition of the machinery we purchased from [distributors] 3K Machinery and Hilgefort Machinery has greatly increased the manufacturing time to get our products delivered and within schedules.” Among the new purchases is: a Timesavers widebelt sander, a Unique 220 door machining center, Unique Shape and Sand machines, a Holz-Her edgebander, a Quick clamp carrier with gluer, a Robland sliding panel saw and five Kremlin paint pumps. For five consecutive years, Great Lake Woods has maintained a steady pattern of success which has kept it in the WOOD 100. In 2006, it was new product development that made the greatest impact on the company’s sales, says Keith Malmstadt, president. “A customer’s needs are always changing. Developing new products to meet these needs allows us to continue being the primary supplier of solutions in this changing environment,” he adds. To create more options and produce items more effectively, Great Lake Woods recently purchased a ScanCore scan and rip optimization system, a Weinig Powermat 1000 moulder with grinding system and a reverse rollcoat finishing system. “When you tell a client six to eight week lead times and deliver in four weeks, you become a hero and save the day. One drawback to this is you cannot do it every time, but we sure try,” says Owner Charles Gemeiner of his company’s reduced delivery times in 2006. Also a contributor to reduced delivery times was a move to a new 28,000-square-foot, state-of-the art facility, along with new equipment purchases including a Holz-Her Cut 85 beam saw and Holz-Her 1315 edgebander. Another 10-year veteran of the WOOD 100, St. Louis Closet’s marketing program led the way in contributing to the company’s 2006 success. “Organization is a lifestyle that can only be conceptualized by photos, ads, brochures and TV commercials. People need to see the organization in order to understand and want it,” says Jennifer Williams, owner and president. In addition to an enhanced marketing program, the company also expanded to a 30,000-square-foot building and purchased new equipment, such as two Dantherm dust collectors, two Homag KAR 325 edgebanders, two Holzma HPP380/31 panel saws and four Blum assembly machines. Jasper Seating?s (No. 84) focus on new product development, including a new line of hospitality furniture, helped spur a $10 million increase in sales, according to Vice President of Operations Ron Beck. For its seventh appearance in the WOOD 100, Jasper Seating’s Vice President of Operations Ron Beck credits the company’s new product development which accelerated a $10 million increase in sales. According to Beck, Jasper Seating developed an entire new line of hospitality furniture and also did custom furniture on a monthly basis. “We also continue to introduce new designs to our established brands and continue to gain market share in the commercial and institutional areas,” Beck says. This year marks Closet Works’ seventh appearance in the WOOD 100. Attributing to its success, President Michael Carson says the company focused on further enhancing employees’ skills and rewarding their dedication. Along with this, the company provided employees with new training and educational programs. For 2007, Carson says, Closet Works continues to work on differentiating its products from competitors’ offerings. Closet Works manufactures and installs closet systems made from laminate, wood veneer and high-end wood species. A do-what-it-takes attitude toward working with customers is what brought Timberdoodle to the WOOD 100 list this year. “High-end customers require a lot of personal attention during the design phase, installation phase and after. Any questions, concerns or complaints are dealt with as soon as possible and to the customer’s satisfaction,” says Ernie Rottinger, vice president. “Our customers advertise for us by word-of-mouth. They are the backbone of our business.” “To speed production and improve quality” on its finishing line, the company also purchased two Kremlin Airmix paint systems. For its ninth appearance in the WOOD 100, Sieling and Jones’ Controller Anthony Tirocchi, gives the company’s employees credit for the success. The company exceeded its dollars-in-sales-per-man-hour goal by 17%. “No matter how well your company is equipped machinery-wise, without skilled, motivated employees you will not survive in this industry,“ Tirocchi says. Machinery, he adds, does play an important role. To help improve production, Sieling and Jones recently added a second Mereen-Johnson double-end tenoner and a Holz-Her Triathlon edgebander. According to Emery Lee, CFO of Showplace Wood Products, it was a combination of factors that led to the company’s success in 2006: “Having a niche product that is fully custom, with the exception of unique finishes and exotic wood species at a semi-custom price; delivering on time and complete; and doing what we say we are going to do,” he says. Along with a plant expansion, the company’s production increased from several upgrades and additions: Unique coping machine, SlipCon belt sander, the computer conversion to an AS400 Frontier system, plus a new edgebander, panel saw, horizontal belt sander and downdraft sanding table. For three-time WOOD 100 alumni Allegheny Store Fixtures, outsourcing its component manufacturing and some complete units was the key to meeting its sales growth numbers. President Steve DiFazio says, “This allowed us not only to free up our own facility to handle more custom work, but also to increase our sales by increasing our capabilities, by utilizing our new partners.” The company also purchased new optimizing software to help it “yield more parts from our raw materials,” DiFazio adds. CEO Russell Stephenson Jr. credits the implementation of lean manufacturing techniques and employee suggestions for the improved sales achieved by Stephenson Millwork. Also contributing to the increase in production has been the addition of new equipment, including: a Schelling FWU panel saw, Dantherm CS-4 dust collector, Southworth Model LS4-36 lift table, Toyota forklift, Blum boring machine, Steff 2038 three-roll, eight-speed power feeder and an Evans Machinery PVC oven. Top Drawer Components (No. 93) says its ability to provide prompt customer service, including same-day quotes and a seven-calendar-day lead time to its customers, has helped the company to grow business. Top Drawer Components marks its eighth appearance in the WOOD 100. For its eighth appearance in the WOOD 100, Top Drawer Components credits its excellent customer service record with helping to drive sales. “We provide customers with same-day quotes and a seven-calendar day lead time. Our customers know that they come first at Top Drawer,” says Maria Laughner, business manager. To help produce the drawers and specialty items, Top Drawer recently purchased: a UV box coater, 12-inch Sorbini SmartPrint UV flatcoater, Cefla UV edgecoater, Holz-Her vertical panel saws, a Selco EB-120 panel saw and replaced all its table saws with SawStops. “Steamlining processes and improving the facility has put us in a position to maximize our plant capacity, and management can now handle more design/built throughput,” says Mark Kaser, vice president of operations. The company also just completed an entire plant restructuring and renovation with new offices and a wood shop, including a new dust collector, compressors, coating equipment and basic woodworking equipment to enhance its CNC manufacturing, Kaser says. In addition, the company upgraded its software and information processes and job costing systems. It was the successful implementation of a three-year continuous improvement plan that got Custom Cupboards into the WOOD 100. Lance Johanson, vice president of operations, says, “Our plan enhances quality, production and training. We also have been strategically implementing lean throughout the entire organization.” To help ensure the quality and production of its products, Custom Cupboards added several pieces of equipment: a CNC router, double-sided planer, six-head moulder, three machine sanding line and a CNC boxing machine. It also added 20,000 square feet to its production facility. Scott Hensel, owner of Hensel Woodworks, says streamlining the manufacturing process while increasing productivity has enabled the company to grow its sales by more than 13%. “Since we started our business 10 years ago, we have had to turn away business when we became too busy. We’ve really concentrated on refining our manufacturing by adding new, faster machinery and fine-tuning our assembly methods.” Among the new equipment is an SCM Sigma 85 panel saw and a 10-hp Grizzly dust collector. Woodmotif Cabinetry manufactures custom cabinetry for new hotels, medical offices and corporate interiors. According to George Dimitriadis, president, the company has been focusing on reducing its cost and investing in new machinery to increase productivity. In 2006, Woodmotif purchased an edgebander, and “we will continue to upgrade our machinery [to aid in] our cost cutting efforts,” Dimitriadis says. Mishler Studios Inc. (No. 98) has set its sights on expanding its commercial casework and residential cabinetry customer base through exceptional quality and service. Recent machinery purchases have helped the company improve its production efforts. Company President Rob Mishler says customer service and quality control is what drove the company’s sales success in 2006. “The commercial market is very price-driven, so you can always keep busy by being the lowest number out there. Service and quality, though, are what make for loyal customers and repeat business.” In 2007, customer service and quality control become even greater priorities as the company works to expand its customer base. To aid in its production efforts, Mishler Studios recently purchased a Felder KF 700 sliding table saw and a Felder FD 921 line boring machine. Owner Kelvin Clements credits a strong marketing program for helping Drawer Box Associates make its fourth consecutive WOOD 100 appearance. “We focused on marketing to high-end cabinet shops and broadening our product offerings,” Clements says. The company also added a full-time sales representative for Georgia and a manufacturer’s representative for North Carolina and South Carolina. To keep up with the increased production, the company purchased a table saw, glue line and ripsaw. President Charles Maiwurm credits employee skills and dedication for helping Contour Countertops improve its sales to make its third consecutive appearance in the WOOD 100. “The move from Seattle to Kent, along with starting up a new manufacturing line, required a total team effort and hard work from everyone. We accomplished the goal with minimal customer disruption,” he says. The company’s new postform laminate line which includes a core machine, a new laminator, as well as upgrades to the postform and coving machines, are also helping the company to maintain its production levels.